Jon-Jon Knepp is the President of Knepp Financial Group. He earned his Bachelor of Arts degree in Communication from DePauw University in Greencastle, Indiana. Upon graduation, he worked as an insurance agent and financial professional for a large corporation. He traveled throughout Indiana, Illinois, and Ohio assisting clients with their insurance and financial needs. He joined EDU Tax Advisors in 2004 as a financial professional and regional partner. 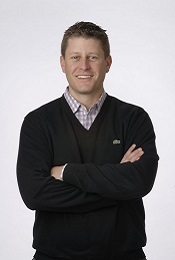 In 2006, he became the President and owner of the Muncie, Anderson, and Indianapolis offices. In July of 2010 Jon-Jon spun off and expanded his business to enable him to better service his clients by working in tandem with other professionals whose services and lines of work complimented those he offered. Thus, Knepp Financial Group was formed. Jon-Jon has historically been in the top 1% of insurance producers nationwide. He has been invited to speak before such groups as the Indianapolis UAW, and the Women’s Investment Group of Muncie. In addition, he has spoken to national corporations such as Ford Motor Company and General Motors about how his practice integrates with overall estate and financial planning. Knepp Financial Group is a company providing detailed and customized services aiming to create an awareness of solutions for retirees and pre-retirees in the challenging times surrounding their estate and overall financial plans. KFG provides positive options for consideration through seminars and individual attention. Our programs help people to be more confident about their retirement savings strategies. With our help, clients can make better educated decisions to achieve financial goals. At KFG you can expect professional treatment for all your needs. KFG takes pride in working in tandem with an elder care lawyer and certified public accountant where applicable. Jon-Jon leads a very active lifestyle. When not at work, you can find him enjoying the great outdoors and spending time with his wife and four children.